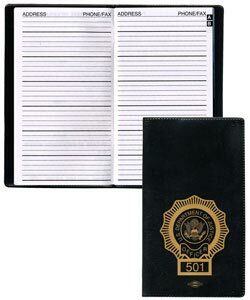 Personalized Address Book Custom Printed in Bulk. Promotional, Very Inexpensive. Budget Prices in the USA and Canada. Burgundy, Navy, Hunter Green, Black. 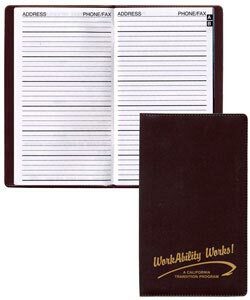 Inexpensive leather-look personalized Address and Phone Book with top quality Castillion Vinyl covers. 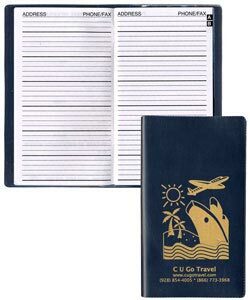 We also supply blank (not imprinted) Pocketr Address Books at EQP (End Quantity Price). Lowest cost in USA and Canada wholesale for promotional Address and Telephone Books. American clients pay no taxes. The unit prices below include your 1 color custom imprint in one location. 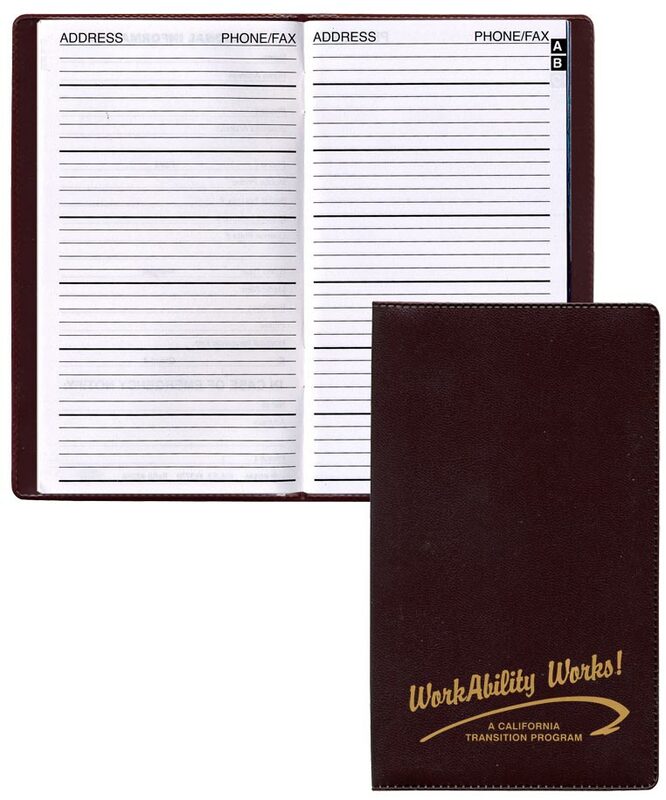 PRODUCTION TIME: 5-15 days after art approval; Blank (not personalized) Address Books ship next day. Description This handy address book has plenty of room for all your entries. It comes in 4 great Castillion vinyl colors and this address book is refillable. A great way to keep important information ready at your fingertips.